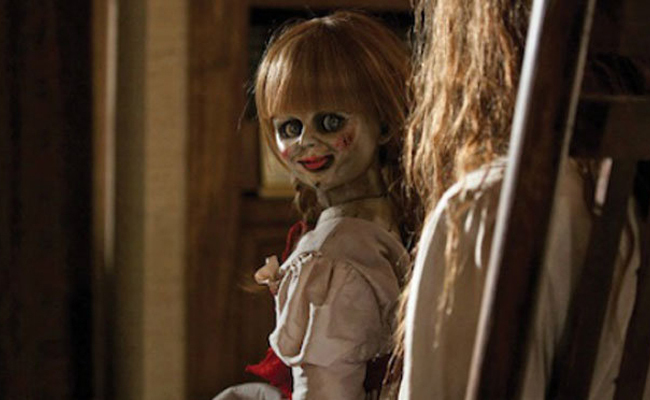 ...With a period setting and a story centered on family, it seems like Annabelle is attempting to replicate some of the The Conjuring‘s strengths; it also duplicates the first film’s eerie moods and tense setpieces. In some places, it succeeds; Leonetti makes great use of deep focus, with threatening figures crossing the way, way back of the frame. These moments are startling without resorting to the typical, easy jump scares. Click through to read the full review at PopMatters.